How Often Should You Weed & Feed a Lawn? Do I Weed & Feed or Plant Seed First? Can Weed & Feed Kill My Catalpa Tree? Liquid Weed & Feed is manufactured by the pbi Gordon Corporation. It is an herbicide and fertilizer combined. That means while it is busy killing the weeds in your lawn, it also adds nutrients that will help your grass grow strong. Liquid Weed & Feed saves you from having to use two separate products on your lawn. Just be aware that this product is a concentrate, and must be mixed with water before it is used. Wait for a day when there is little to no wind and no rain in the forecast. This will prevent the Liquid Weed & Feed from being swept into areas of your lawn where you did not intend for it to go. Put on a pair of gloves and some old clothing. You may also want to wear a mask and goggles when using these chemicals. Measure out your Liquid Weed & Feed, and pour it into your backpack sprayer. Add the water to the backpack sprayer and mix the two ingredients together. You now have enough Weed & Feed to cover 5,000 sq. ft. of lawn. Spray the herbicide/fertilizer across your lawn in a sweeping motion. You may want to start at the far end of your lawn and work your way back toward the front. 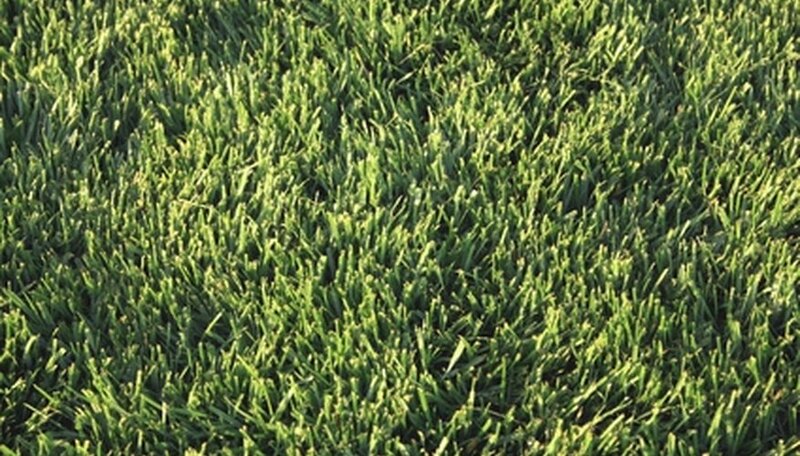 Florida turf grasses require a complete fertilization in March and again in September, according to the University of Florida. Substitute the fertilizer with a weed and feed product if you have many weeds in the lawn. Apply in May, if broadleaf weeds are present. Use a product specific to your grass variety, and apply at the recommended rate. 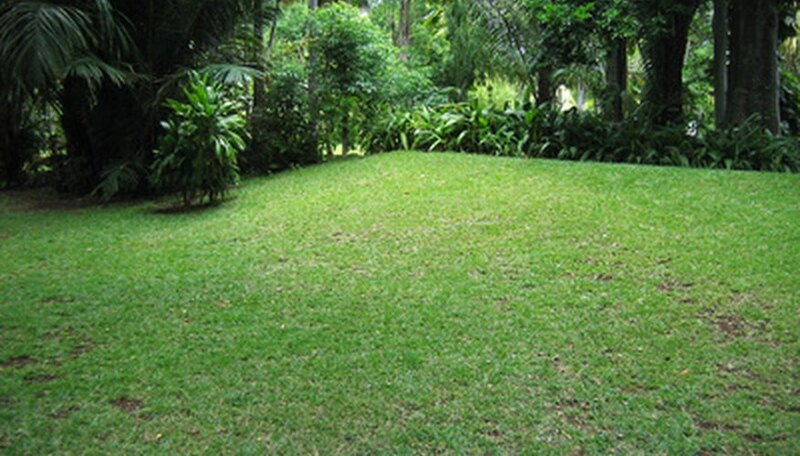 Apply weed and feed to a damp yard once a year in the spring when you see weeds begin to grow. It may be applied another time during the same growing season if needed, according to The Scotts MiracleGro Co.'s website. Weed and feed damages shrubs, flowers, trees and some grass species, according to a Louisiana State University Agricultural Center Research and Extension website article. Many herbicides work better in spray form as opposed to granular products. Weed and feed should not be applied to areas where both fertilization and weed control are not actually needed. Use weed and feed products on a lawn no more than two times per year. Avoid other plants and flowers during application, and apply in localized areas only as needed. Always read the product's label prior to application to ensure that the product is appropriate for your lawn type. For those wanting to use weed and feed fertilizer to kill unwanted weeds, the best time to apply it is spring and fall, when the temperatures are around 70 degrees and the weeds are still young. Apply weed and feed to an established lawn in late spring and again in early summer. 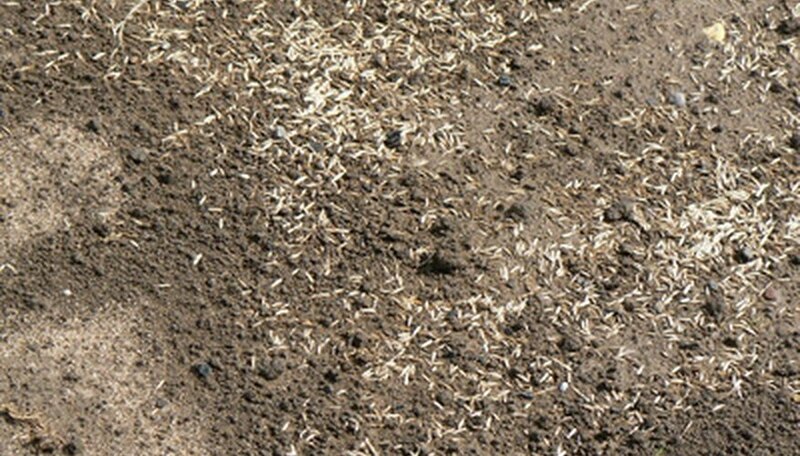 Plant lawn seed in the fall season followed by weed and feed in the spring to prevent damage to the lawn seed during germination. Mow the lawn one or two days prior to applying the weed and feed. Wear protective clothing as you mix and apply the liquid weed and feed. Wear goggles over your eyes, rubber gloves, long pants, long sleeves and shoes covering your entire feet. Mix the liquid fertilizer with water in the sprayer according to package recommendations. A 2,500-square-foot area of fescue, Bermuda or Kentucky bluegrass generally requires 1 quart of diluted weed and feed. A 3,750-square-foot area of St. Augustine grass generally requires 1 quart of diluted weed and feed. Cover any surrounding areas with tarps to prevent overspray, if necessary. Remove plants in containers to protect them from overspray. Apply the weed and feed with the sprayer evenly over your lawn area. The weed and feed should reach every area of the lawn. Rinse and wash your rubber gloves before you remove them. Remove all clothing and launder it immediately and separately. Wash your hands well with soap and water. 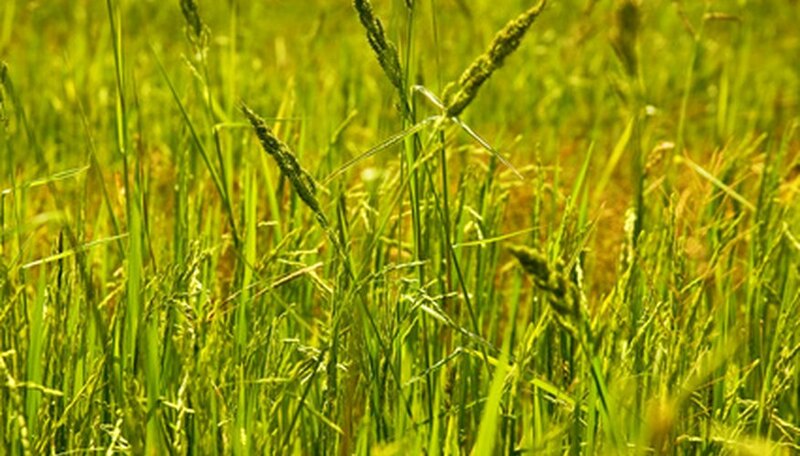 The best time to weed and feed in Georgia depends on the type of turfgrass growing in the yard. Weed and feed treatments contain herbicides and fertilizers, which may need to be applied at different times rather than at the same time. Consult your local County Extension agent for more information. Catalpa trees are especially susceptible to damage from two common herbicides used in weed and feed products--dicamba and phenonxy. Do not apply weed and feed on areas where catalpa tree roots are growing; tree roots often grow as far out from the tree as the tree is tall.